Went with Kelly and her family for an early birthday dinner at benihanas in Tigard. 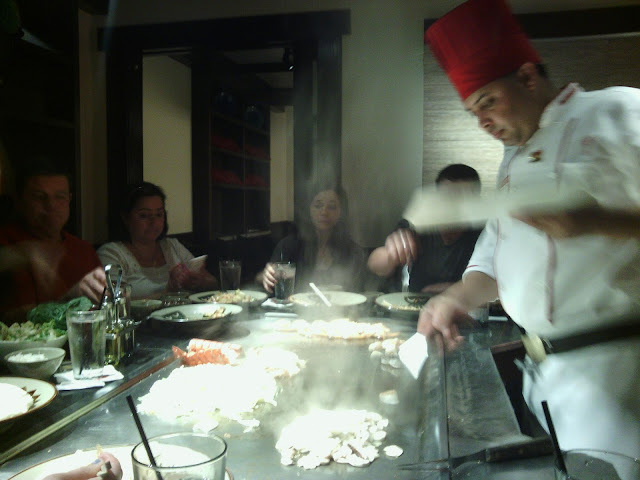 I had never been to a Benihana's before and if you don't know that's where they cook the food right in front of you at your table. It was really good I had scallops - calamari steak - and shrimp. And before that it was an appetizer of zucchini - shrimp - fresh fried rice - salad - and soup. Stuffed.